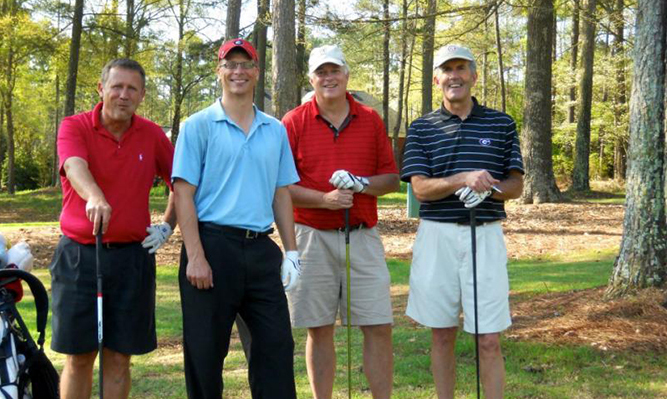 Events range from an annual golf tournament and Barristers Ball to community service days and Toys for Tots drives. 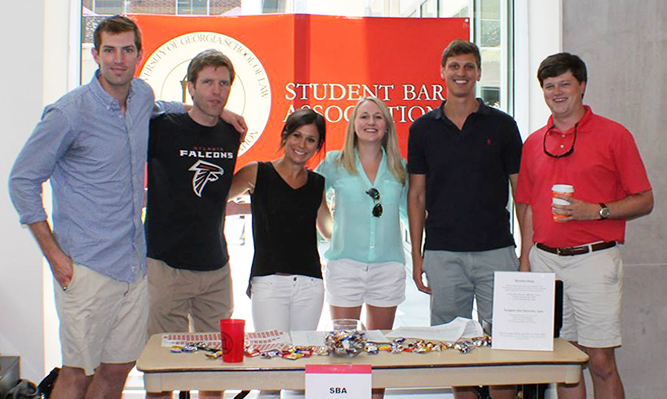 Student Bar Association members receive discounted prices to our numerous events. 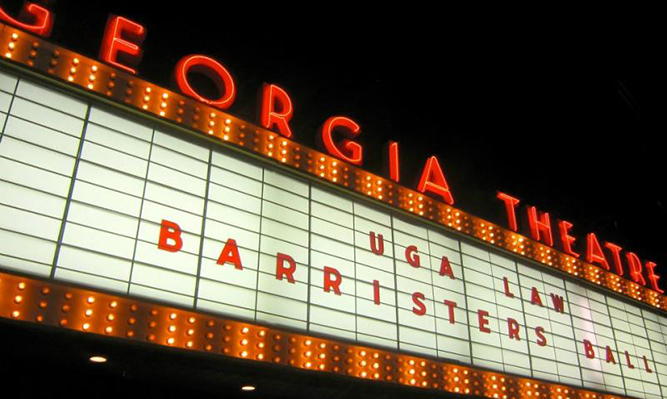 The Student Bar Association (“SBA”) is the student government body at the University of Georgia School of Law. The officers are here to ensure that your law school experience is as memorable and enjoyable as possible! In addition to being the voice of the students, we plan events throughout the year so that we can all take time away from reading cases to build a community and professional relationships that will last a lifetime. For more information on how you can sign up, go to the membership tab of this website. Please feel free to contact any of our officers with any questions, suggestions, comments or concerns you may have. Their contact information can be found on the leadership page. Please see our TWEN page for additional resources and "like" our Facebook page for more information on weekly events! Also, for incoming students, check out the Dean's Ambassador's Why Georgia Law blog. Other helpful resources are the law school events calendar, the student organizations' home page, and the MyGeorgiaLaw. 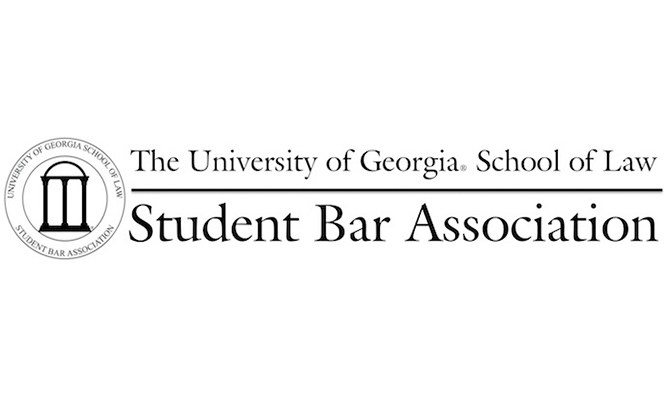 The Student Bar Association (SBA) is the student government body at the University of Georgia School of Law. The SBA Board is comprised of the Executive Board elected members and appointed student members. The SBA Board works diligently during the year to ensure quality events and programs, to voice student concerns, and to promote community at Georgia Law. The SBA Executive Board is comprised of 12 elected positions: President, Vice President, Treasurer, Secretary, 3L President, 3L Vice President, 2L President, 2L Vice President, 1L President, and the three 1L section vice presidents. The general election for officers is held every April before the end of classes. However, 1L class officers are not elected until the fall semester after classes begin. SBA also consists of numerous appointed positions. These positions oversee different aspects of student life to bring student concerns to the Administration's attention. Please feel free to contact any SBA Board member with any concerns, questions, or suggestions you may have. Every year, the Student Bar Association Mentorship Program provides each first year, transfer, and LLM students with an upperclassman mentors who can give advice and tips on life at Georgia Law. This provides a connection for incoming students to the law school community as well as providing someone who can help students with questions about law school, outlines, professors, and life in Athens. Students meet at the SBA Mentor/Mentee Mixer. After, mentors are encouraged to follow up with their mentees by meeting throughout the semester to discuss any questions mentees may have after their first few weeks of school. It is our hope that this program makes the transition to Law School as smooth as possible for all incoming students. Questions regarding the Mentor Program should be directed to Crighton Allen, the Mentor Program Director, at ctallen@uga.edu. The Student Leader Roundtable was created by SBA in fall of 2012. Its mission is to create a forum for student organization presidents to gather and share ideas, announce upcoming events, and collaborate on programs to benefit the overall Community at Georgia Law. The Roundtable meets three times per semester, with the final meeting dedicated to introducing incoming leaders. Due to budget constraints, only the presidents of student organizations are invited to attend. However, if the president is unable to attend or is representing another student organization at the event, the president may designate another member of the organization's leadership to attend. Lunch is provided at all Roundtable meetings and special dietary needs can be accomodated with an RSVP. Lunches are only available to those students who RSVP. Questions regarding the Roundtable should be directed to Lien Hernandez, SBA's Student Organizations Liaison, at lhern1@uga.edu. A new program for the 2013 - 2014 academic year is Athens Eats. Athens Eats is a program administered by SBA to encourage student organizations to support local Athens restaurants. Participating restaurants submit menus to SBA that do not exceed the mandatory per diem for student organization events. 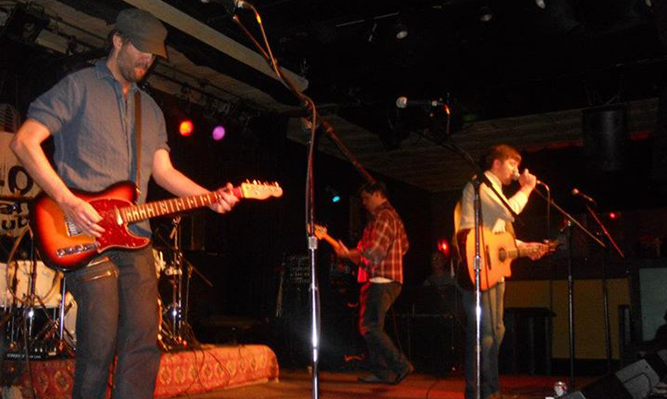 In turn, the restaurant can receive additional business and advertising and the student organization may advertise their event using the Athens Eats logo. More details, including a facebook page, coming soon! Please direct all questions regarding Athens Eats Local Outreach Coordinator Ellie Carroll at elliecar@uga.edu. The Public Interest Law Council (PILC) hosts an annual community service day in the first weeks of the spring semester. SBA supports PILC by volunteering and one of their many service locations. To learn more about PILC, visit their student organization page. To learn more about SBA's community service location, please contact Local Outreach Coordinator Ellie Carroll at elliecar@uga.edu. The Legal Food Frenzy is a state-wide food drive sponsored by Georgia Attorney General Sam Olens to support area food banks prior to their greatest time of need - the summer. All five law schools in the state participate in the food drive by competing to raise the most amount of food. SBA partners with the Georgia Association of Law & Politics to sponsor the food drive at Georgia Law. To learn more about the Legal Food Frenzy, please check out their website. 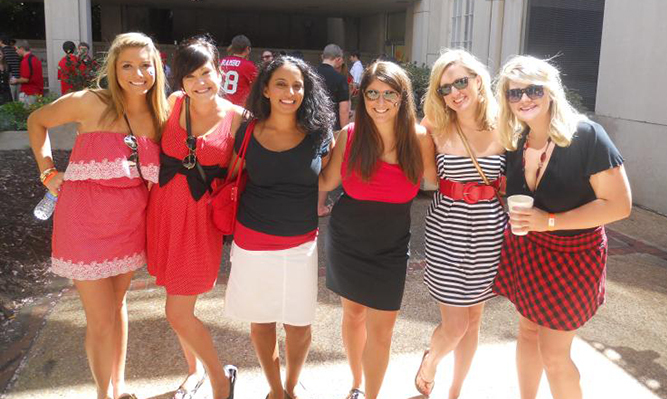 For Georgia Law specific questions, please contact Local Outreach Coordinator Ellie Carroll at elliecar@uga.edu.